I am a licensed clinical social worker with a general practice, as well as a specialty in maternal mental health--in particular birth trauma and perinatal and infant loss. I am passionate about helping moms whose transition to parenthood has been a difficult journey due to depression, anxiety, infertility, loss, birth trauma, changes in identity and violations of expectations. I am a Board Member and Education Chair of the non-profit Postpartum Health Alliance, where I am able to share my knowledge and experience in the maternal mental health field through a variety of media. I am also a depression and loss expert for New Mommy Media http://www.newmommymedia.com/experts/yvonne-rothermel/. By raising awareness of these issues through public education and outreach, my hope is that more women will receive the support they need. Having worked in the mental health field for over 18 years prior to starting my private practice, I have a strong background in treating depression, anxiety, stress, family of origin issues, grief and loss, and self-esteem issues. During my time in the mental health field, I have worked with teens, adults, hospice patients and their families, and the elderly. Although many of my mentors in the field have been psychodynamicly oriented, I am eclectic in my approach. I use many cognitive behavioral interventions, mindfulness and DBT interventions, use EMDR (level 1 trained), as well as looking at schemas (core beliefs about ourselves) that often limit our potential and /or create problems in our relationships with others. Not everyone starts at the same starting line in life. Life can be much more challenging for those affected by traumas, dysfunctional families, poverty and mental health challenges; however, with support, treatment, and self -compassion, life can be a lot better. 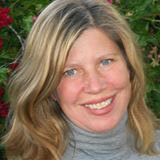 My private practice is based in San Diego, CA in the Hillcrest Area.